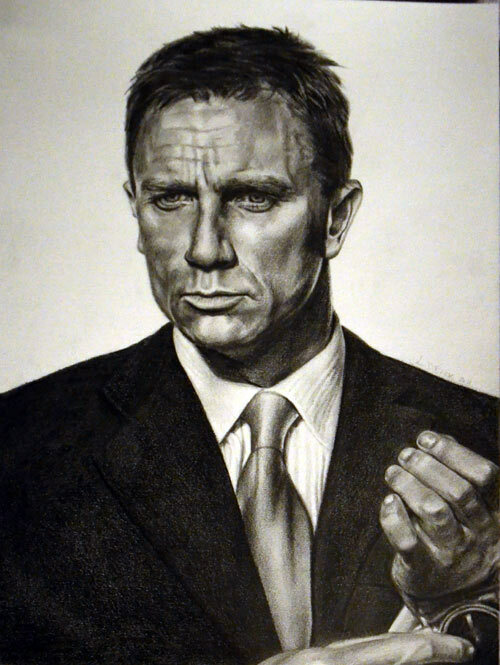 With the release Cowboys & Aliens approaching, I felt it appropriate to take a stab at drawing Daniel Craig as James Bond. I’m in a mode where I’m really enjoying working on portraits again and in looking for new projects to start, I decided Craig would make a fine victim. Again, for this one, I used an array of pencils and an Ebony Jet Black pencil to get the end result. It was drawn in July, 2011.